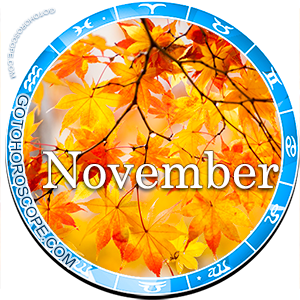 November 2015 Horoscope Taurus, free Monthly Horoscope for November 2015 and Taurus Astrology Forecast for the month ahead. 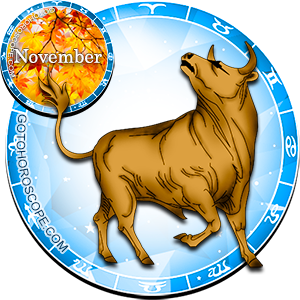 For the zodiac sign of Taurus, November 2015 will be extremely negative phase of life, full of all sorts of problems, frustrations, and total lesions. However, in spite of such a categorical prediction of stars, do not forget that while any event at any point of time has a downside, the Taurus should not give up. Yes, it will be difficult, perhaps more difficult than ever, and yet it is not the worst thing that can happen in life, despite the fact that the Moon, the planet-exalt of this sign is now one of the strongest antagonists of the total population of Earth. Throw in an abnormally increased impact of Pluto responsible for the expulsion of the Taurus, and Saturn, traditionally responsible for his downfall, and the result will be a rattling and a dangerous mix. Dangerous, but predictable. We will discuss this more specifically below. It is important to understand that right now there is no celestial body that would like to help the Taurus. This is an exceptional situation, the probability of which is extremely small. But it only says that the representatives of this sign may get a unique experience, which can play a decisive role in their futures. 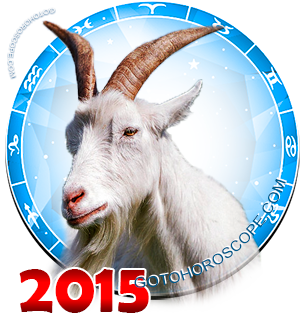 To be more specific about the direction of work, the zodiac sign of Taurus will be in a difficult situation in October 2015. At the beginning of the first ten-day period of the month, you will suddenly realize that you are standing at a crossroad and among the options available there is definitely a positive one. A peculiar choice of the "lesser evil" will shake your financial situation, especially if you work for yourself. Do not sign any documents, no matter what they are. All contracts and official events are best moved to the next month, otherwise you'll lose even more. Listen patiently to the views of your colleagues, partners, and "mentors", but proceed according to your own settings. Even if you let someone be disappointed in you, even if you let someone openly hate you, you will at least save your job. Although it is all ultimately up to you; just do not rush in answering the questions asked of you by your destiny. Fortunately, you are not limited in time, even if you try to convince yourself otherwise. Time is your only ally, if you want to act - then act here and now. If you want to think and plan - do it without looking at the opinions of others. The sphere of personal relations will be no less prosaic for the zodiac sign of Taurus in November 2015 than the sphere of finance. Be prepared for the fact that your significant other will start to behave inappropriately with the sunset of the first ten-day period, in the full sense of that word. Maybe she will have her reasons, it does not matter now. What matters is how you are able to cope with the problem, because you will undoubtedly have options that will be decisive once and for all, fundamentally and irrevocably. Of course, this will lead to the breakdown of the relationship, and considering the currently strained relations with relatives, that would not the best ending. On the other hand, if the problem is not thwarted by the root, it can get a truly epic development after which you can expect even greater problems. It is all up to you and you have to decide quickly, despite the fact that there is no particular rush. With every day the stress will increase and, unfortunately, you cannot even rely on your best of friends right now, because they themselves will be no less of a problem. Yet remember - in any situation there is a way out, you just have to take a sober look at the world and do not be afraid to challenge it. I've had a pretty rough month. Yes, a disastrous accident which could have killed me but I escaped death yes I did!!! I have been hospitalised for three months now and still unable to walk. Lost my job, happiness everything.. Will my life get back to normal?? I lost my job in October and was faced with the choice to stay in my home town or move for work. I moved and looked for work all November and finally got hired today. I took a great rush and burned through my savings for the transition but my goals are set. Here's to new beginnings! Just tell me one things... How the hell can I come out of this f*cking thing. This month has taken everything from me. Not only me but when my friends are trying to help me out ... something suddenly happen and they fail. Its just like nither I am in a state to help myself nor anyone else is able to help me out. Its been a hard month and I wasn't able to save my job. I was let go. I hope December brings better news. The beginning of the month was definitely the most challenging and I had to deal with a lot of patience. So yes, after reading this the world is definitely against me this month. I can't wait for December! Damn !! U are so correct..I have never faced so many problems in 1 month is december also ??????????? Please tell me about my study or exams how will be to going after 20 November 2015?? ?